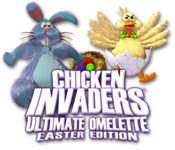 Chicken Invaders 4: Ultimate Omelette Easter Edition is rated 3.9 out of 5 by 7. 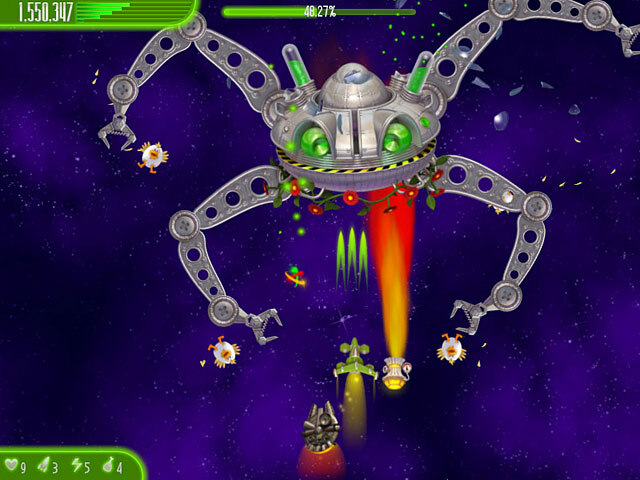 Rated 5 out of 5 by VOLCANOGIRL from Fun Game This game is fun, but addictive. When you are playing the trial, you forget that you only have a limited hour on the trial. It is that fun! If you want to buy this game after the trial, go ahead... You will be happy with your purchase! Rated 5 out of 5 by ayahtech from Awesome It was the best one so far!!!!! Rated 5 out of 5 by happylabs717 from Nothing New... 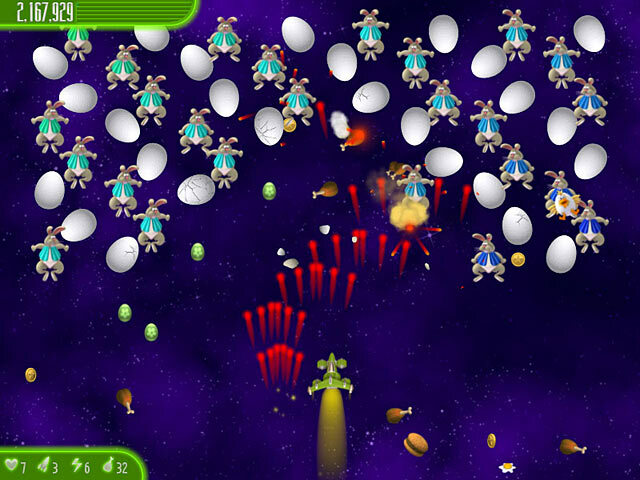 This is the same exact game as Chicken Invaders Ultimate Omelet Christmas Edition only with different graphics. It is all the same formations and challenges. It is a great game but if you already have the Christmas edition there is no point in buying this. Rated 4 out of 5 by westiefan99 from Secret Obsession Okay, everyone is right - this is the same game as the last one, but it was still fun. 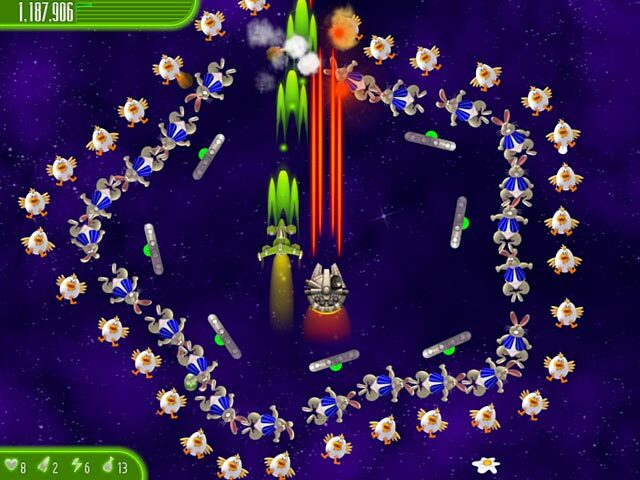 The Chicken Invaders series is my favorite shooting game, perhaps because I get to laugh out loud every time and can still go back and enjoy increasing my score and shooting more chickens, eggs, bunnies - or whatever - out of the blackness of space! I do hope that they change some things up for the next one, but this is still worth your time. Have fun, and watch out for those omelets! Rated 4 out of 5 by bapparis from waiting for a new one I like this game alot but I have had revenge of the yolk for awhile. This is the same game and while it is fun to play I am anxiously awaiting a "new" version to come out. There would be no point to buy a version I already own. Hope to see a new one very soon!